A loud environment can make it very difficult to hear an alert notification on your phone. 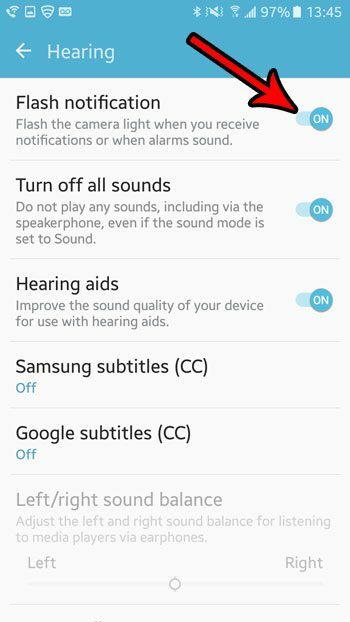 Or, if you have hearing difficulties, those notifications can be difficult to hear in any environment. 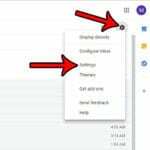 So if you have been looking for a way to make the alerts on your Android phone a little more noticeable visually, then the steps below can help you to do so. Our guide will show you how to find a setting that will make your phone’s camera flash go off whenever you receive an alert. this light flash is very noticeable, and serves as a good alternative if you are unable to hear the notification sound. The steps in this article were performed on a Samsung Galaxy On5 in the Android Marshmallow operating system. 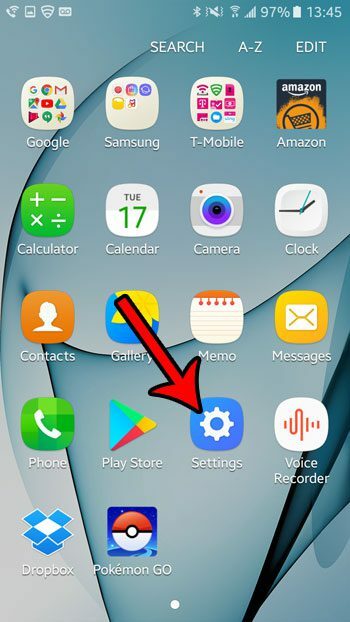 Completing this tutorial to enable this setting will cause the camera flash on the back of your device to go off when you receive an alert, or when an alarm goes off. Step 2: Choose the Settings app. Step 3: Scroll down and select Accessibility. 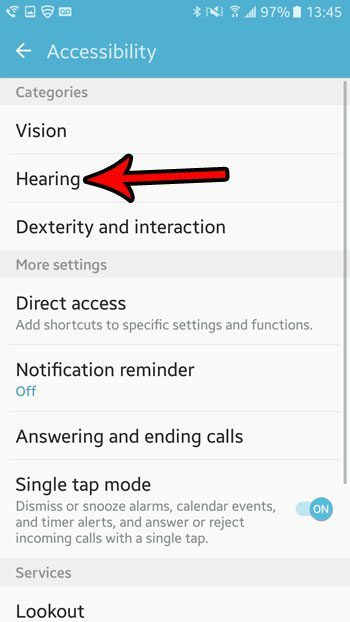 Step 4: Touch the Hearing option near the top of the screen. Step 5: Tap the button to the right of Flash notifications to turn it on. 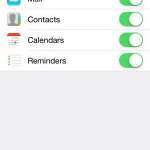 Now the camera flash on the back of your phone will go off whenever you receive an alert from an app on your phone. That camera flash on the back of the phone can be used for other things, too. 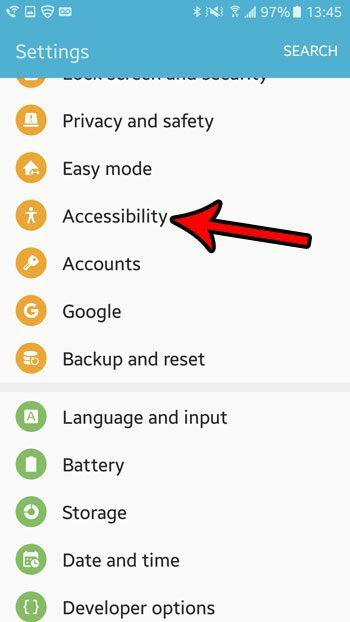 Learn how to use it as a flashlight in Android Marshmallow and give yourself access to a tool that can come in handy more often than you would expect.